Live, work, love at L'Atelier! 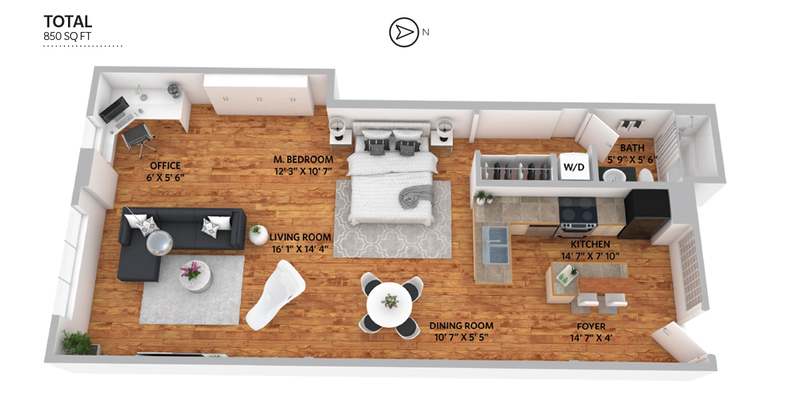 This gorgeous unit has nothing but wide open space, waiting to be turned into the loft of your dreams. Highlights include gorgeous reclaimed & refinished wood flooring, original timber ceilings, exposed piping, & overhead track lighting. The renovated kitchen features ample counter space & an island/ breakfast bar. Practical features include insuite laundry, plenty of insuite storage, & the allowance of pets and rentals, making this perfect for homeowners & investors alike. The East Village is one of the trendiest pockets of East Van - new bars, boutiques, cafes, & restaurants are always opening in the 'hood. Plus, L'Atelier is home to one of the best rooftop decks in the city! You will be notified by email when the L'Atelier building has future listings.